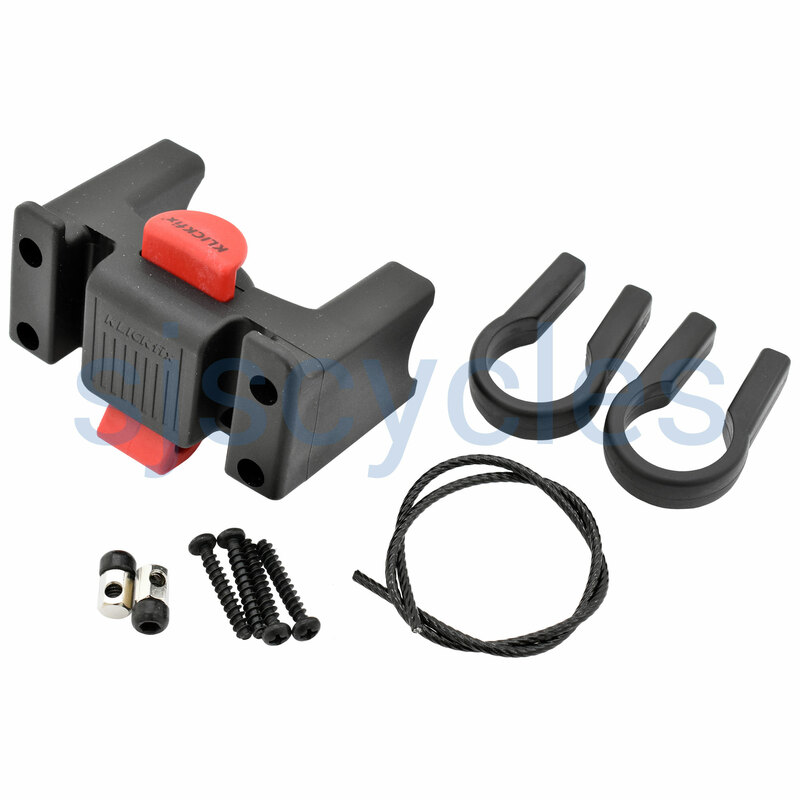 Quick release mounting block allows quick and easy attachment and removal of handlebar appliances such as barbags or map holders. 70mm between clamps (c-c) Maximum recommended load 7kg, cable may be replaced by current type brake cable.The ultimate in convenience. Does now fit some Ortlieb barbags. Comes with fittings for 22-26mm. I bought this so I could use my bar bag on my second bike. KlickFix is strong and safe and used by many bar bag makers (but not Ortleib). Mounting Plate To Go On Bag? I have a bar bag with which I don't think will be compatible. Do you supply a mounting plate that I could fit to my rigid bag compatible with this Kwikfix system? We stock a mounting plate compatible with this Klick Fix bracket. These are SJSC part number 15471. Are Kwikfix Products Cordo Cc 100 Qr And 0212A Compatible Please ? These two parts are indeed compatible with each other. On the Ortlieb USA site ( http://www.ortliebusa.com/prodInfo.asp?pid=374&cid=2 ) it says that the bag is compatible with Klick fix mounts. Is your information up to date for the new bags? I'm afraid our information is outdated, the Klick fix can now be used to mount the Ortlieb handlebar bags.